This B/BB-grade hardwood made from top-quality Baltic Birch offers an economical alternative to higher-priced tropical plywoods. The variety of natural markings and patterns on the back side give the wood an aesthetic appeal and natural beauty, while the smooth surface of the face side allows for convenient painting, stenciling, staining, and wood burning. The flexibility of Baltic Birch Plywood makes it ideal for both large construction projects and homemade woodcraft. 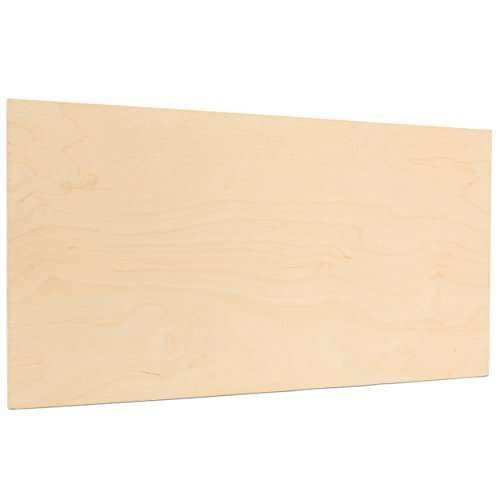 This package includes 20 sheets of 3 mm 1/8 x 11-7/8 x 23-7/8 in Baltic Birch Plywood from Woodpeckers.